Where in the course of a trial the judge is satisfied that a juror should not, by reason of illness or other reasonable cause, continue to act, the judge may discharge the juror [emphasis added]. Early in the trial, the juror shook his head in a negative manner when the defence conceded that Jonathan Cioppa was in possession of a knife and was showing it off on the night in question. In my view, the conduct attributed to juror #9 did not rise to the level that would warrant an inquiry under s. 644. There may be other explanations for the juror’s conduct, or at least some of it, than an assumption that the juror had made up his mind against the accused to the extent that the juror was no longer impartial. In terms of the hand actions towards the end of the defence closing, the juror may have been indicating nothing more than his impatience with counsel arising out of his belief that he understood the defence position and did not require further explanation of it. It may be that other jurors were similarly impatient but simply had the courtesy not to express it openly. Observation of indications of impatience by jurors during closing submissions, and even more so during the judge’s charge, is not an uncommon experience. Similarly, the juror’s reaction to the admission that Mr. Cioppa had a knife on the evening in question and had been showing it off, may have been a legitimate expression of the juror’s disapproval of that conduct. If that was the case, the juror was not alone. Defence counsel, on more than one occasion, himself described the conduct of Mr. Cioppa in disapproving terms, using words such as “stupid” to describe it. 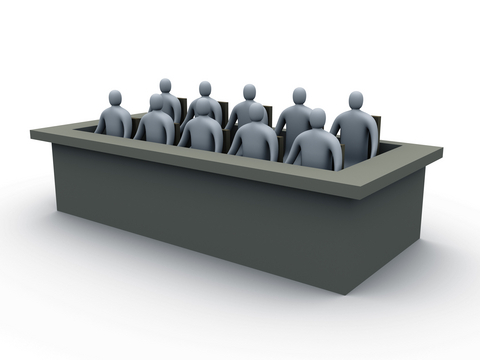 Significantly, the decision makes the important distinction that there is a real difference between a juror forming an initial opinion contrary to the position of the accused and an inability on the part of a juror to honour his or her oath to keep an open mind and be receptive to the opinions of the other jurors. The decision recognizes that it is part of human nature to form views and that this is not necessarily inconsistent with the duty of the juror. The court looked to the requirement for unanimity amongst jurors as a partial solution to the danger of a juror prematurely deciding a case. The court should, in my view, be wary of too quickly inquiring into a juror’s conduct in such circumstances. Otherwise, every time a juror rolls his or her eyes, stares off into space, closes their eyes or demonstrates any number of other human reactions, it may lead to an inquiry being held on the basis that the juror has shown some absence of impartiality. Jurors swear an oath to do their duties and the court should be loathe to assume that that oath will not be honoured. It also seems to me that there could be unexpected and unintended consequences from subjecting jurors to such inquiries, both in terms of their own continued conduct as jurors and the perspective of, and interaction with, their fellow jurors [para 15] [Emphasis added].